Good, Vintage Condition: Good condition with expected wear. The surface is worn and brass has good patina. 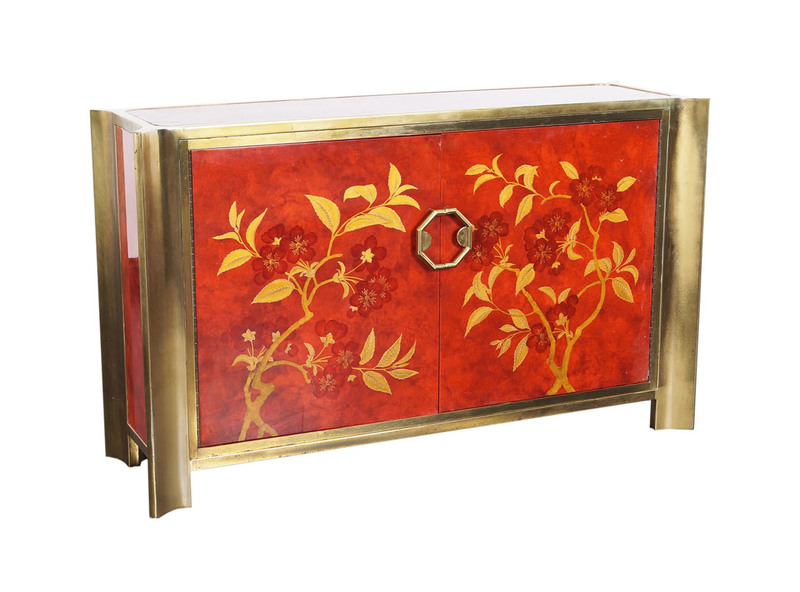 Extremely rare red lacquered & brass credenza designed by Mastercraft. An exceptional piece in original vintage finish.